The case of death is not yet announced for Ultimate Warrior who died at 54 – this is according to WWE. James Brian Hellwig made a comeback to WWE after 18 years of departing doing his own businesses in life. Since the said wrestler made an impact in the lives of many fans around the world and has inspired a lot of wrestlers also to follow his footsteps, he has earned WWE Hall of Fame days before his passing. Ultimate Warriors appeared in the Wrestlemania 30 and Monday Night Raw to address his fans and to let them know that he still exists in this new generation of wrestling. This also denoted his comeback and everyone is very excited about it until sad news that stirred the hearts of people around the world, fans and wrestlers alike. Vince McMahon, WWE chairman, tweeted and expressed his mourn over the loss of the said asset of the industry. He is already an icon to be considered who worked with Hulk Hogan, Andre the Giant, Jake the Snake and other wrestlers he encountered during his time in WWF now WWE. Stephanine McMahon, WWE’s chief brand officer tweeted about his appreciation and admiration for Ultimate Warrior’s strength of character. Among others who expressed their grief are Randy Orton, Dwayne Johnson and many more. Digging through the roots of Ultimate Warrior, in 2005, WWE released a DVD entitled “The Self Destruction of Ultimate Warrior” that led to a lawsuit. Ultimate Warrior said that the DVD was wrong and he is not a bad guy during his speech. Ultimate Warrior came from a group of bodybuilders in Southern California who turned into a wrestler. He was admired by lots of people and new wrestlers nowadays. 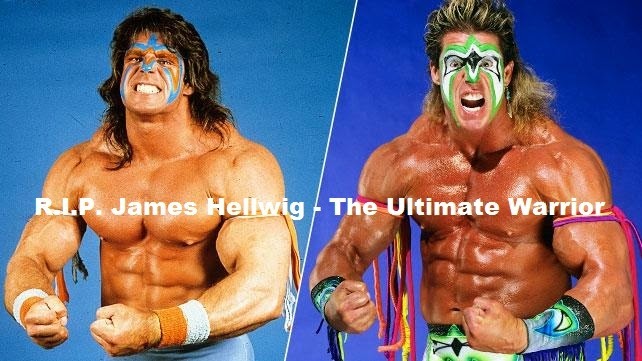 In fact, Chris Jericho tweeted about his mourn over Ultimate Warrior knowing the fact that he is Jericho’s childhood hero.